You may also order from the author by sending a check for $24.90 ($19.95 plus $4.95 postage) to Ren Holland, 13225 Thomas Drive, Little Falls, MN 56345. Book sellers should contact me for discounts before ordering. Available only in paperback format. Not available as an eBook. The Edge of Itasca, published in 2004, describes early settlement around the Source of the Mississippi at Minnesota’s Lake Itasca. Some of the subjects covered include early explorers, Ojibwe relocation, forest railroads, logging, early settlers, and the creation of Itasca State Park, including the contributions of the Civilian Conservation Corps (CCC). A special section on local rural schools includes a yearly census of students attending through the 1950s. A personal view of growing up near the park during the 1940s includes life at a country store, fishing, hunting, entertainment, and how World War II affected families of the Itasca community. As each of us grows older, we increasingly look back into our own history to revive pleasant memories. In mine, the route to the past often takes me to my boyhood community at Little Mantrap Lake near the edge of Minnesota’s Itasca State Park. Within a few feet of our country store the heavily traveled U. S. Highway 71 led tourists to the park and its famous Source of the Mississippi. The source is the focal point of the park, along with historic log and stone structures surrounded by groves of towering old growth pines. These geographical, natural, and historic rarities have drawn millions to the area for recreation, hospitality, and scenery. My memories of life at the small resort and store at Little Mantrap are filled with vivid images of neighbors, customers, events, and places. 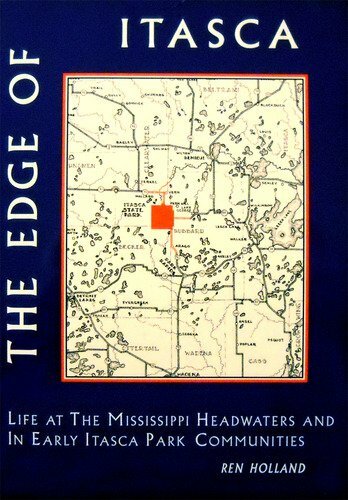 These recollections, combined with early history, can provide future generations living in the Mississippi Headwaters area with a map for tracing and enlightening area history as well as their own history. To view a sampling of photos from the book, click here.